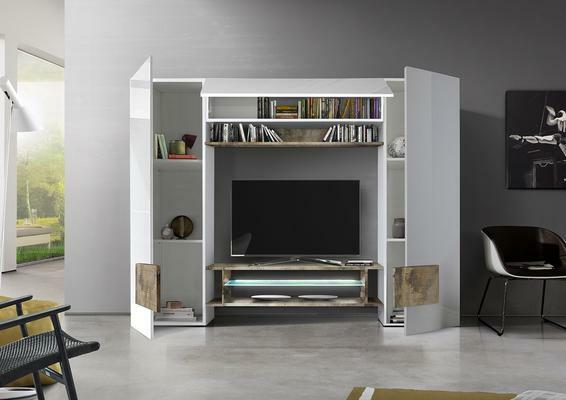 The New Sorriso Wall Storage combination is now available from our summer collection. 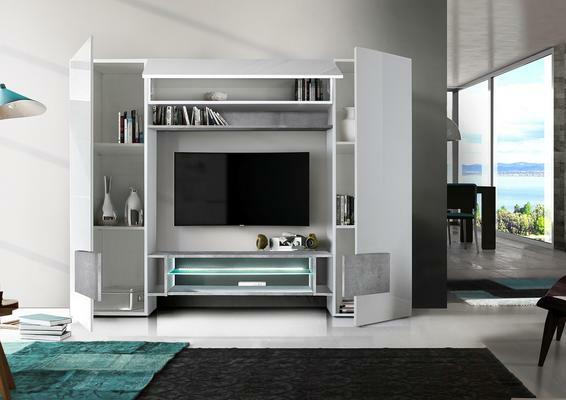 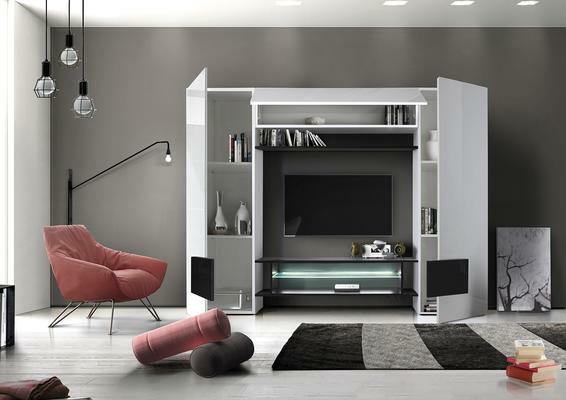 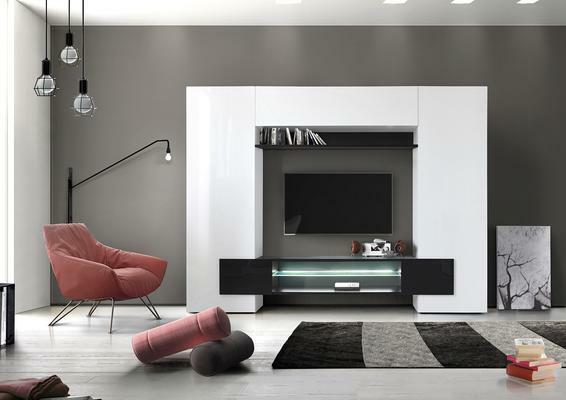 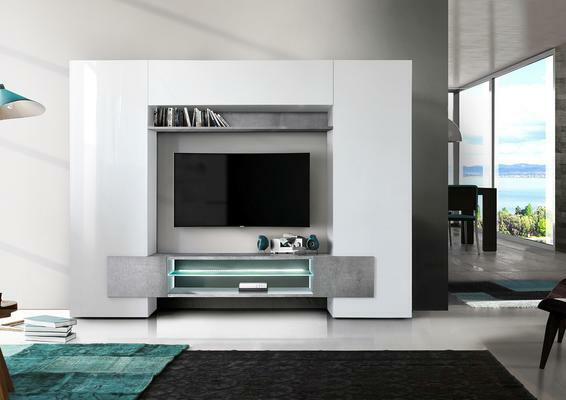 The Sorriso unit has two white gloss lacquered storage units with two internal shelves each along with coloured door front which cleverly conceals the compartment spaces on the central element. 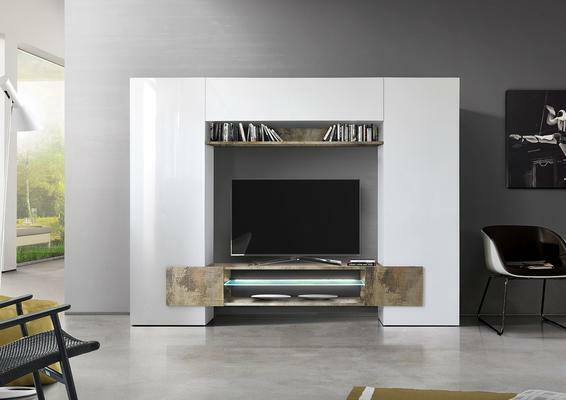 Top storage with gas pump opening and further shelf in contrast finish. 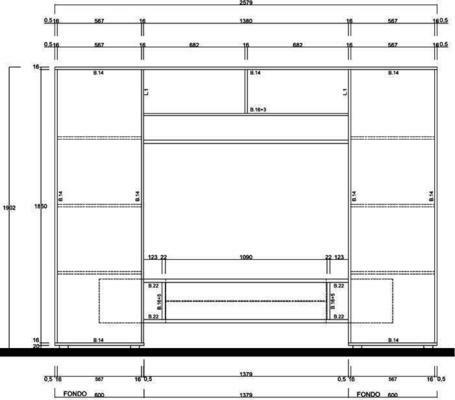 Sent as self assembly unit.